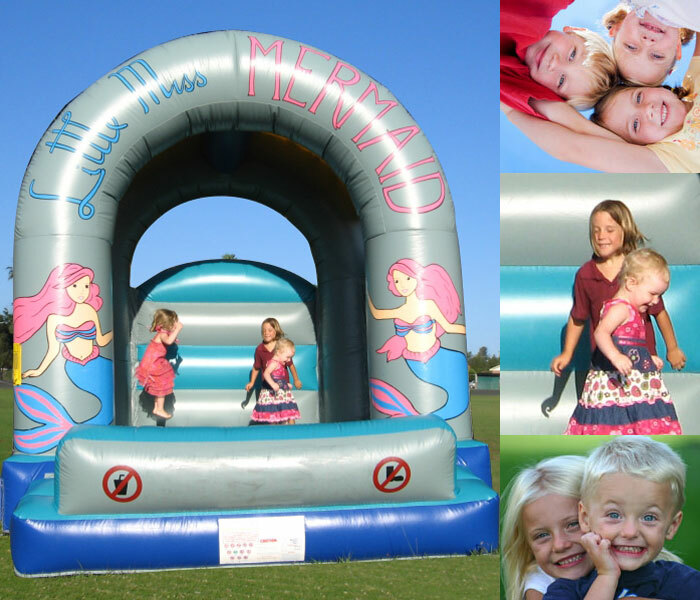 Swish goes the Mermaid’s Tail as they swim along the front of the Mermaid Jumping Castle. 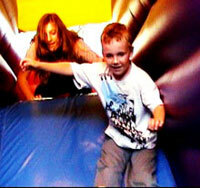 Their hair flows freely in the underwater fantasy Mermaid Land. 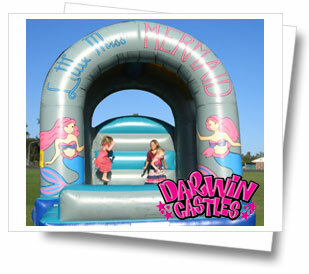 Our Mermaid jumping castle is 4m x 4m x 3.6m (High Arch) and is great for 8 year olds and under.